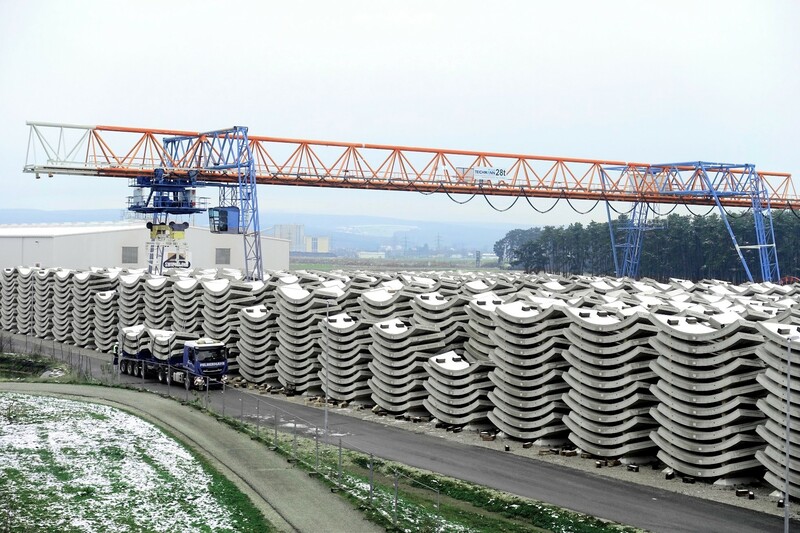 High-precision moulds made by Herrenknecht Formwork already have successfully produced more than 100,000 concrete segments for the Koralmtunnel Lot KAT 2 in Styria. Besides the current Lot KAT 3, for which approx. 45,000 segments are produced, the green steel moulds are in use for a further project in connection with the Baltic-Adriatic Corridor: 8.2 km of the 20 km long Semmering Base Tunnel between Lower Austria and Styria are lined with reinforced concrete segments, which are produced on a Herrenknecht Formwork plant. 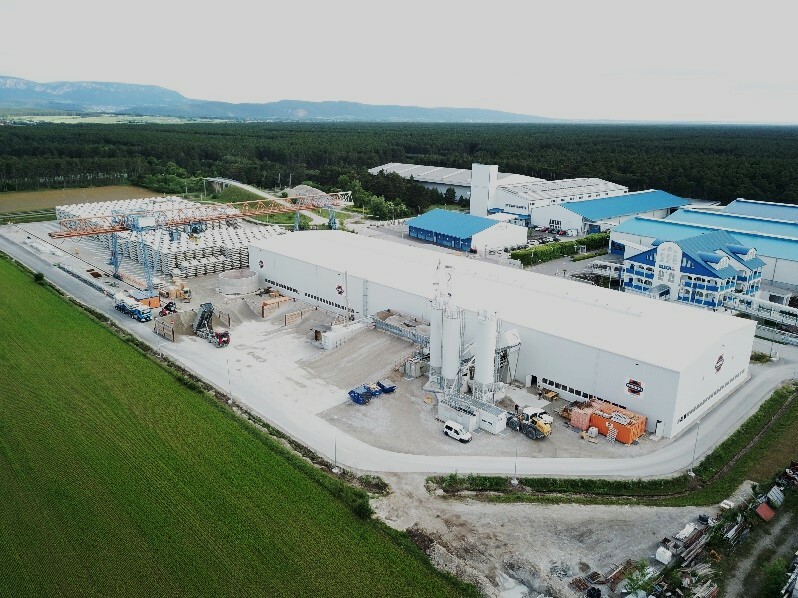 Since October 2017, the segment production plant with 48 high-precision moulds, a carousel system with concreting unit as well as tailor-made segment handling equipment is operated by the company Swietelsky Tunnelbau GmbH & Co KG in Neunkirchen in Lower Austria. It connects high-quality steel structure with modern automation systems, enabling the team to produce up to 120 concrete segments per day, each one weighing several tons. Swietelsky is transforming 147,000 m³ concrete, which is supplied by the company Mobile Betonkonzepte GmbH, into 49,200 lining segments in total. A maximum of 4,560 segments can be kept in the storage yard. A sophisticated handling and logistic concept including slewing pillar cranes, vacuum devices (extrados and intrados), segment clamps as well as transport trolleys enables the 7.5 tonnes segments made from steel and concrete to be in the tunnel ready for installation just in time. Automated segment production using a carousel system offers constantly high production rates with a reduced number of personnel required once the plant is in operation. The team in Neunkirchen achieved a performance of 2.5 production cycles per day. The automated production steps have a positive effect on the quality of the segments. The producer benefits from a low reject rate and a high availability of the plant. A further interesting aspect of carousel production is its sustainability: As the carousel system can be adapted to another tunnel diameter, it can be re-used.